If you have any questions about this policy, please email [email protected] or write to: Jellybean Creative Ltd, 58 Copson Street, Ibstock, Leicestershire. • Write to us at: Jellybean Creative Ltd, 58 Copson Street, Ibstock, Leicestershire. 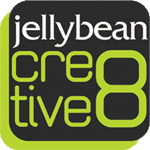 Jellybean Creative Ltd website is not structured or in the market to attract children. Therefore, we do not intend to collect Personal Information from anyone we know to be under 16 years of age. Please note that we have no control of websites outside the www.jellybeancreative.com domain. If you provide information to a website to which we link, we are not responsible for its protection and privacy.